T-Model Ford didn't learn how to play the guitar until he was 58, and didn't make his first recording (this album) until 1997, when he was 76. Born, raised, and currently living in the Mississippi Delta, this is energetic blues with some credibility. It's pretty much lo-fi The Black Keys, except Ford actually IS a black man in his 70s. 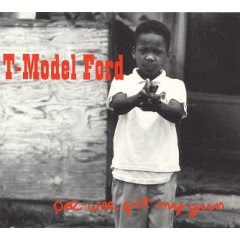 T-Model is amazing..check out the fat possum documentary..